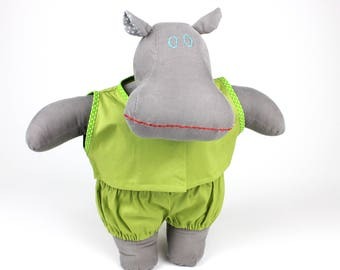 Handmade hippos soft dolls and watercolor adventures! Announcement Welcome to the Mippoos family! We're a family of handmade soft dolls, which are special treasures to give to the loved ones in your life. These dolls will last throughout childhood (and beyond!). 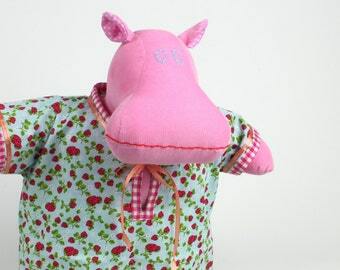 And most importantly, our family of hippo soft dolls is definitely going to bring a little bit of happiness! 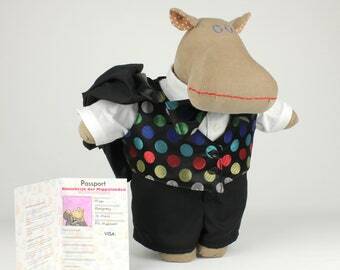 A hippo with a dress? Dungarees? Pjs? Why not? All cute and cuddly! Or do you have a special idea and would like to see it come to live? 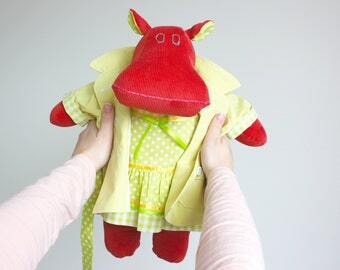 We love creating custom orders and designing new Mippoos family members, such as a superhero Mippo.. or a fairy Mippo! 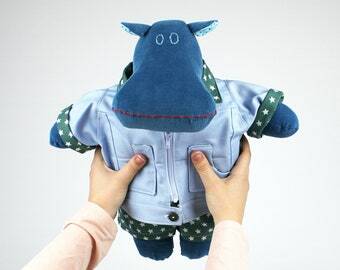 Please don't hesitate to contact us if you have any special requests for our hippo soft dolls or the watercolor illustrations of their adventures. Welcome to the Mippoos family! We're a family of handmade soft dolls, which are special treasures to give to the loved ones in your life. These dolls will last throughout childhood (and beyond!). 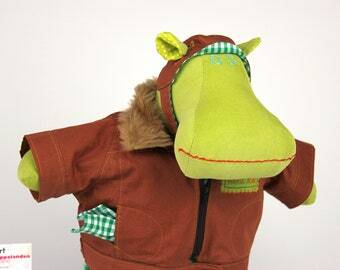 And most importantly, our family of hippo soft dolls is definitely going to bring a little bit of happiness! We've finally added bigger prints Both the "Party time Mippoos" and "Coffee time Mippo" watercolor are now available in a4 size prints! Hello! We are mother-daughter team Marijke (left) and Lucia (right). Workspace in Lucia's home: the place where all Mippo hippos come to life! Our lumberjack outfit: the plaid shirt is just like a real men's shirt, except smaller! Mip·po [Mip-oh] noun, plural Mip·poos. Informal. 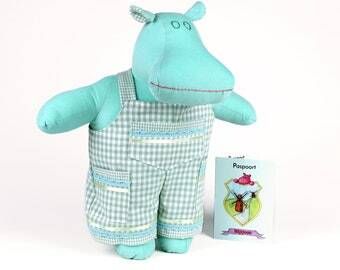 A cute species of plush hippo, first discovered in the Netherlands around 1989. 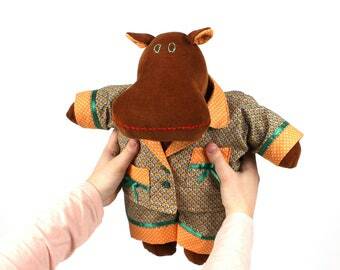 Mippoos is a little handmade shop from the Netherlands. Our items are designed and made by us, Lucia and Marijke. We're a mother and daughter team and we've combined our skills to create the Mippoos family. 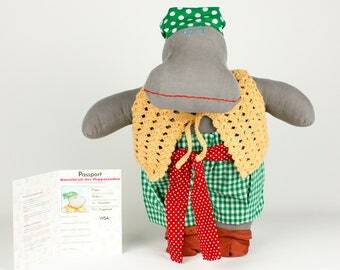 Lucia has mastered the sewing machine and makes our cute and chubby Mippo hippo dolls, while Marijke paints their adventures in watercolor. We started Mippoos in 2013 as a creative outlet for Lucia, because the Mippoos family just kept growing and our home is pretty but small. 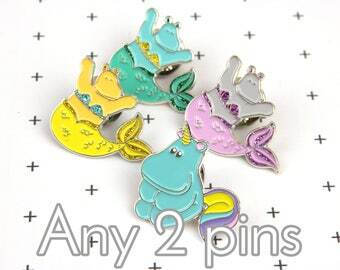 We decided it was time to put some of our beloved Mippoos family members up for adoption, because keeping them all fed was becoming increasingly more expensive. 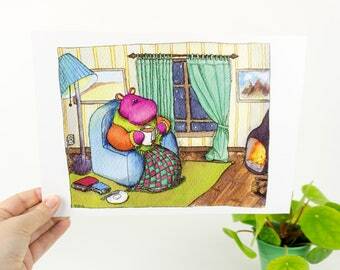 ;-) Starting in 2016, Marijke's watercolor hippo art was added to our shop. 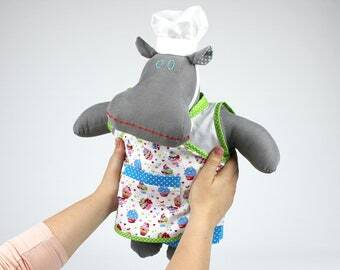 Over the years, more Mippoos were born and each and every one hippo plush has its own disposition and is always unique. 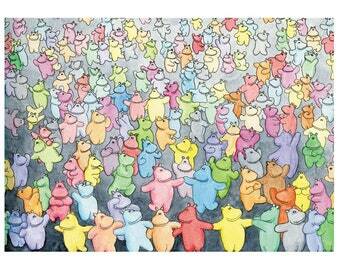 They go on all sorts of adventures, which are portrayed in Marijke's watercolor art cards and prints. Most of our afternoons together are spend on brainstorming new outfits, names, and adventures. We were always close, but Mippoos has definitely brought us even closer as a mother and daughter! We love our Mippoos family and all the heart-warming words and comments we've received for our little Etsy shop. 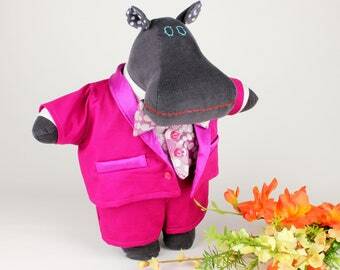 It's a great adventure to be on together as a mother and daughter team.. and all our Mippo hippo friends! 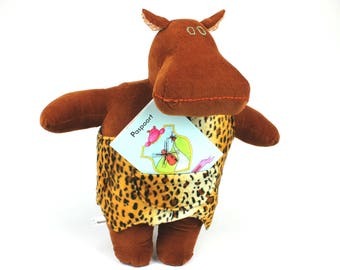 The first Mippo hippo is called Nelleke and she is the matriarch of the Mippoos family. Marijke: "The year is 1989 and I was only 18 months old when I first fell in love with one of mom's creations. 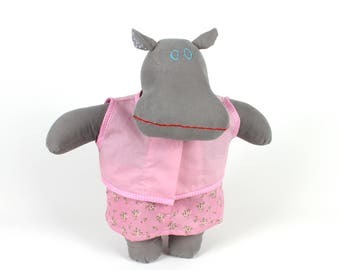 She created a soft and cute hippo plush for me, including a ballet tutu, dress and pajamas. I named her Nelleke (a very Dutch name), but often pronounced it more like Mel-lik, which is actually where the M from Mippoos originates. I remember playing with Nelleke for hours, dressing her for ballet practice or getting her ready for bed in her cute pjs whenever it was my time for bed. She still holds a prominent place on one of my bedroom's cupboards (I moved out of mom's house a few years ago)." Hi everyone, my name is Lucia and I have been sewing and stitching for many years. 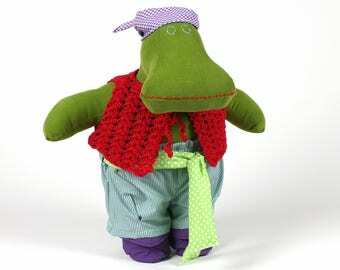 In 1989 I made the first hippo for my, at that time, one year old baby girl Marijke. We now run Mippoos together. It all started with helping mom, Lucia, set up a shop in 2013. 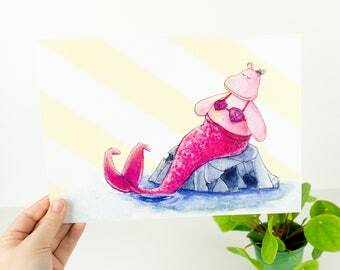 But drawing has always been a passion, and in 2016 we expanded our little shop to include my watercolor paintings and prints of the adventures our Mippo hippos go on! How many days does it take you to ship items? We ship items already made within 3-5 working days and after receiving payment. Made to order listings can vary in time it takes us to get them ready to ship. These shipping times are specified per listing. Your items will be shipped from the Netherlands and you will be notified as soon as they have been delivered to our post office. What shipping method do you provide and what are your estimated shipping times? We use standard shipping and can ship worldwide. Your order will usually take 2 to 4 weeks to arrive, but shipment times can vary (e.g. due to customs), so we can never promise a timely delivery. Although we would expect items to arrive within the estimated time, please allow up to 8 weeks, as occasionally items can be flagged for additional security checks on international postage, which is unlikely, but unavoidable. Custom orders are very welcome! Do you have something special in mind? See something you like, but you would rather have it in a different color, material or with a different decoration? Anything else? Just send us a message and we’ll see what we can do for you. We love creating custom orders! Almost all our stuffed animals and nursery decor is machine-washable when using a delicates program. Most doll clothing can also be tumble dried, but we advise you not to tumble dry the stuffed dolls and other stuffed animals. Sometimes care instructions will deviate from the above. Specific care instructions can be found in the listing's description. Are your items made in a smoke-free environment? All our items are made in a smoke-free environment! Are your items made in a pet-free environment? We're a mother-daughter team who live separately and one of us has cats. The cats are not allowed in the same room as the items we make and sell, but we can not guarantee a completely pet-free item for those who are highly allergic. Most of our items are machine-washable though, which could eliminate the problem all together. I accidentally gave you the wrong address and my item has not arrived. Will you reship my order or refund in full? Unfortunately this is your responsibility. If you realize you have made a mistake in your address when placing your order, contact us immediately. If we have not yet shipped, we are happy to change shipping to the correct address. If, however, we have already shipped, there is not much we can do and we will not offer any refunds.